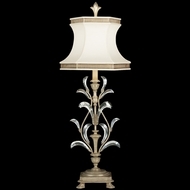 Buffet lamps can bring the enchanting hotel ballroom experience right to your dining room. 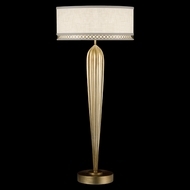 Bronze, brass or silver, each of these buffet table lamps and table torchiere lamps bring classical design, ornate detail, and professional lighting clarity with them. 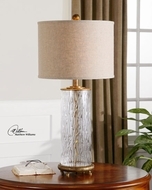 Perfect for professional hotels, wedding receptions, ballrooms, motels and convention centers as well, buffet table lamps are a great inexpensive option for any gathering. 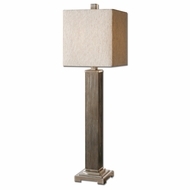 Nothing brings a bit of life to a small, possibly neglected and overlooked end table like a�buffet table lamp. 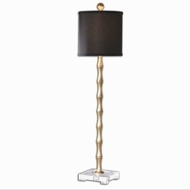 Perfect as accent lighting and a great solution to a dark, small space, these dainty and stylish�table lamps�really make a statement about your commitment to interior design. 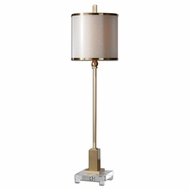 Contemporary buffet table lamps come in an impressively wide variety of shapes, colors, styles, and sizes, so you will have ample opportunity to find the buffet lamp that suits your home decor needs. 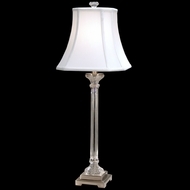 Our AffordableLamps.com buffet table lamp clearance section really offers a huge assortment of designs and styles at affordable prices. 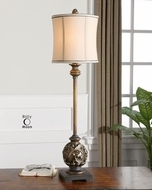 If your home is furnished mainly in traditional, rustic, or shabby chic motifs, then consider adding a little light with a Tiffany or candlestick buffet table lamp.�Tiffany lighting�has a timeless charm and candlestick buffet table lamps evoke memories of simpler times. If your decor is more modern, however, you might contemplate brightening up your space with a more�contemporary lighting�style buffet lamp, which will be more minimalistic, geometric, and simplified than a traditional lamp. The choice�of buffet lights to buy is yours! 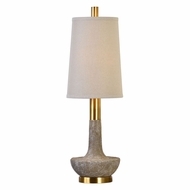 If a contemporary buffet table lamp is what you're looking for, than a leading lighting manufacturer like�Hubbardton Forge�is definitely the way to go. Hubbardton Forge’s buffet lights are simple and elegant, with minimal ornamentation and a focus on ambient light at an affordable price. For a more unusual and eclectic buffet lamp, peruse our�Uttermost�section to find some wonderful discount buffet table lamps offered in a veritable cornucopia of colors and personalities. Inexpensive buffet lights are suitable for many applications�softly illuminating a corner or hallway in your home, brightening up an office filing cabinet, adding flair to a wedding reception table or in hotel lobbies. Pretty much any space that could use an extra bit of luminescence but has limited room for decorating is an excellent choice for�buffet lamps. So if your�ceiling lights�or discount�pendant lighting�could use a little extra oomph, buffet table lamps are the way to go. 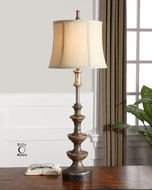 If candlestick and Tiffany buffet lamps aren’t bright enough consider looking into investing in a more direct source of light like a�floor reading lamp�or a�desk light. These lamps will offer you brighter and more direct light and are often available in energy efficient models such as�fluorescent�or�LED lighting. Installing this kind of energy saving, sustainable technology is a great way to go green and make a fashion statement, so research the LED or halogen options for�buffet lamps�today. Future generations will thank you AND admire your style. 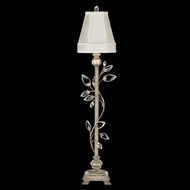 The best buffet lamps are for sale here at Affordable Lamps.